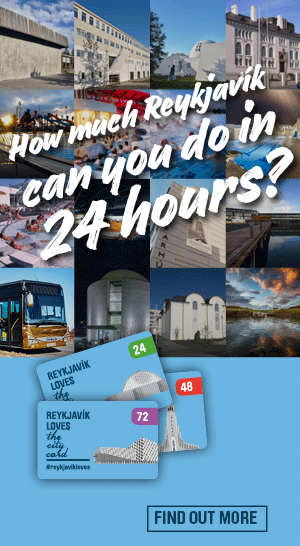 If you prefer to set your own pace, rather than travel by public transport, coaches or on organised sightseeing tours, there are plenty of options for exploring Reykjavik on your own with a number of car rental companies in Reykjavík offering all car types and sizes. Another fun way of exploring Reykjavík is by renting a scooter, a bike or a Segway! Below is a compilation of car rentals in Iceland. You can also check out our marketplace for car rentals . We have been in the car rental business since 1979 and know the roads of Iceland exceptionally well. Through our long experience, we have learned that a primary concern of visitors to Iceland is to rent safe and reliable cars. To provide our customers with complete satisfaction, we go the extra mile in offering outstanding service. We are competitively priced and conveniently located at Keflavik International Airport and in Reykjavik. Also, we have service contacts all around the country. A-Tours is your local Icelandic car rental. We have a long and successful history in the car rental business in Iceland. We provide our clients with personal and high-quality service. We can arrange a rental car for you, whether it is for your self-drive tour in Iceland or your business trip in Reykjavik. Autorental.is is a family owned car rental, offering cheaper 4×4 rental cars suitable for Icelandic weather conditions and Icelandic roads. Our customers rent good cars at compatible prices. We offer free pick up and drop off in Reykjavík area and at Keflavík airport. Personal service from first contact to returning of car you will receive best possible service from us. It's been more than 60 years since Warren E. Avis made the foundations of the world renowned car rental, which Avis is today. He was the first one to see the need and possibilities of connecting together car rental and flight trips of businessmen. His vision became a reality when the first rental location was opened in the Detroit flight terminal in 1946. Since then, this little location has grown into 4.400 rental locations in over 160 countries. Budget Iceland car rental has rental cars to suit all needs at the cheapest rates possible. Whether you are looking at a short business trip, a family holiday or a weekend get a way you'll find the right car at the right cost with Budget car rental. We are happy to assist you because we know that a happy traveler is a repeat customer and a repeat customer is a customer for life! Every staff member is an avid traveler and many have made many of the same trips through Iceland that our customers plan every day. Book a car with us! Europcar is the largest car rental operator in Iceland located at all major airports throughout the country. The largest rental station is in Reykjavík and we are an Authorized Terminal Operator at Keflavik International Airport. Our staff is more than ready to be at your service and to help make your visit to Iceland as pleasurable and memorable as possible. We are first and foremost enthusiastic about cars. We keep the quality and experience of low-cost car rental at a level others don't reach, and we do this by offering a range and service we know will satisfy all your needs. Geysir Car Rental offers a wide fleet of new and well maintaned American, European and Asian cars that meet all the requirements of motoring conditions in Iceland. Just let us know what your plan is and we will gladly help you to make your trip in Iceland unforgetable. Hertz Iceland is one of the largest car rentals in Iceland. Hertz has adopted a policy focusing on minimizing any negative environmental impact of its operations and is constantly seeking ways to reduce any possible direct or indirect environmental impact of its operations. Icelimo Luxury Travel is your host in Iceland, presenting the ultimate Icelandic experience to provide you with the best things that Iceland has to offer. You can choose from our wide selection of activities and transportation options for your visit to Iceland. We can also provide you with a custom perfect tailor made itinerary to make your stay in Iceland excactly as you are expecting. We also provide destination management services, from planning and transportation to accommodation. We are a small family owned car rental in Iceland. Our main goal is to provide an excellent and personal service to all our clients. We offer pickup and dropoff both in Keflavik Airport and in Reykjavik city. We also rent all camping epuipment. ISLANDIACAR is a local car rental company that emerged from the ENTHUSIASM and CONVICTION of Miguel, a young enterprising man from Bilbao who one day decided to move to Reykjavík. We know that renting a car in Iceland is not cheap by that's why our cars are not all brand new and so offer a competitive price. Land Rover Car Rental Iceland is a family owned company that specializes in renting out Land Rover cars. LAVA Auto offers cars in variable size categories at bargain prices to suit all your possible needs during your stay in Iceland. We are extremely competitive and strive to make your stay the most memorable. We take the extra step to offer the best service possible. Our staff consists of professional service minded people that are car enthusiasts with good knowledge on trustworthy vehicles. Our staff personas are frequent travelers, both domestically and internationally. With that being said we know good service from bad, and try everything that is with in our power to make your trip to Iceland the most enjoyable. Lotus Car Rental Iceland is the premier car rental agency providing a comfortable journey throughout Iceland. We take pride in providing quality cars at an affordable price! Our goal is to ensure that you enjoy your trip throughout Iceland in one of our low budget vehicles. We have a wide variety of vehicles, including 4×4‘s, jeep, and small town cars. We are a team of very friendly employees, and we are available 24 hours a day, 7 days a week. Book with us today and let Lotus Car Rental Iceland help you begin your adventure. Nordic Car Rental is a small family owned car rental in Iceland. Our main goal is to provide high-quality service to our clients for a better price. It really doesn´t matter if you are going to enjoy the Reykjavík area or explore the nature around the country, the best way is by car. We are a small independent family owned company and operated by team of car enthusiasts, that grew up in the car rental-sales business. We have over 35 years of experience under our belt, offering a broad range of professional Car Rental - Car Hire services. We are a local company and therefore know a lot about Iceland. We can advise you on traveling through Iceland’s wildly magnificent and varied landscape. You can choose from our large fleet of quality and luxury cars. All our cars are 2016 model well equipped for your travel in Iceland. Procar is Iceland’s car rental expert. Our headquarters are in the heart of Reykjavik, and we also have a rental desk at Keflavik international airport aswell as Reykjavik airport. You can choose from our large fleet of quality and luxury cars; Subaru and Mercedes for the city, and 4 wheel drive jeeps and Range Rovers for the more challenging terrain. Procar Rental Agents are here to advice you and ensure you get the most from your driving experience in Iceland. We are a part of one of the largest travel network in Iceland. When you rent with us we will send you a voucher for the Flybus which will transport you into our downtown office at the BSÍ Bus Terminal in Reykjavik where we will have the car waiting for you. We have been providing customers from all over the world with superb service, amazing offers and quality vehicles. We don't believe in soulless algorithms. We have an entire locally based support staff to answer any of your questions, at any time of the day. Reykjavik rent a car is a car rental service in Iceland offering a wide range of both high-performance premium cars and environmentally-friendly Smart cars. Our main concern is simplicity in booking a car and giving clear and detailed information on our wide range of rental cars. Our website is very user friendly, with a simple online booking form which lets customers book in just a few easy steps. We are the cheapest Iceland car rental offering good solid cars at the lowest possible prices from Keflavik International Airport and Reykjavik downtown. Our rental cars have experience but are very well maintained! If you are seeking Iceland car hire we are here to serve you. Saga car rental welcomes you to Iceland, the land of fire and ice, culture and saga. We offer you a car suitable for your needs. Whether its a small and economical car or a large car for groups or mountain trips you can find it here. SIXT is an international car rental company offering quality cars to customers in over a hundred countries. SIXT offers a wide range of vehicles from small economy cars to large family saloon cars, 4x4 and vans. Thrifty Car Rental Iceland is a leading car rental company in Iceland which offers a large fleet of a wide range of rental cars at the best possible rates. Thrifty quality fleet includes 4x4, jeeps, 4WD, SUV, minibusses, small and medium-sized passenger cars from Ford, Mazda, Citroën and Volvo. Viking Car Rental is an Icelandic car rental that will fulfill your needs for a rental car in Iceland. Experience complete freedom by driving a good car around the land of ice and fire. We offer you the chance to rent 4x4 vehicles suitable for Iceland's rugged Highland interior. We also offer compact cars, family cars, motorhomes and campers. At our Camper & Motorhome Rental, we do things differently. Campers Reykjavik don't want to just meet your expectations, we want to exceed them. We have an in-depth knowledge of Iceland and we will advise you on what Camper or Motorhome will best suit your travel plans. The foundation of our family business is the high level of Customer Service we provide. We believe that the process of renting, collecting, driving, and returning a motorhome or camper should be a smooth and painless as possible. Go Campers offers a great selection of quality campers at the lowest cost. We are travellers like you and we believe that exploring Iceland’s beautiful nature doesn’t have to be expensive. No matter what kind of camper you need we have the solution for you. Whether you need a small two person camper, 4x4 or a large family size camper we have them all in our fleet. We are the largest mini-camper van rental in Iceland. Our camper vans are simple, designed for efficiency, environmentally friendly, professionally made, and easy to operate in every way. The Happy Campers family is passionate about traveling, the outdoors, and everything related to Iceland, so we will do everything to ensure that your trip will be extraordinary. At Happy Campers, it’s simple, it’s easy, it’s fun! Iceland Mini Campers offers a selection of fully equipped camper vans, which afford visitors total freedom to travel around Iceland. With Iceland Mini Campers you can set up camp and cook your own meals literally anywhere in Iceland or choose between more than 120 camping sites for added comfort. We are a small company and provide flexible and personal services at affordable prices to suit your time plan. JS campers has been in business since 1993. Currently we have 30 4X4 pickup with campers for rent. We are a family run business with an emphasis on personal service. In business since 1991, MK Car Rental is the 4X4 specialist of choice for camping in Iceland. We provide you with 24/7 personal service and one of the world‘s most popular 4X4 trucks, Mitsubishi L200 Camper, equipped with fridge, stove, heating and sleeping facilities for up to 3 adults. All our cars are made for highland driving, with special reinforcement for Icelandic road conditions and all come on reinforced all-terrain tires. We are committed to offering personal and professional service and are at your disposal every minute of your trip, just one phone call away. Start your self-drive adventure with Iceland's top 4x4 camper hire! Trip Campers is a company which gives you the unique opportunity to rent comfortable and efficient camper vans to travel all around Iceland. Our aim at TripCampers is to make it possible for you to visit Iceland without worrying about the typical time constraints and any other hassle connected with package tours. Bike Company rents high-quality bikes at 2 locations in Reykjavík. The bikes are brand new Trek 3700 and Trek 4300 for both sexes in various sizes. Our bikes are regularly maintained. We place great emphasis on cyclists safety. All our bikes have very comfortable seats. We also specialize in touring bikes and offering assistance to those interested in cycling through the highlands or around the country. Need a bicycle in Reykjavik? You've come to the right place! We carry a wide range of bicycles for rent to suit your bicycle needs. We sell and rent outdoor equipment! Iceland Camping Equipment is located in the heart of Reykjavík. We rent out all the equipment you may need for your Icelandic camping trip. You can find tents, sleeping bags, gas stoves, hiking GPS, portable WiFi hotspots and much more. You can look us up on our website or just drop in at our store. We are open every day from 9 a.m. to 5 p.m.and it is also possible to pick up and drop off 24/7. If you are adventurous and like to travel on your own we can help you. With our modified 4x4 Land Rover Defenders we offer you the chance to visit some of Iceland's most hidden treasures. You have the chance to go off the main road towards the interior of Iceland which is not accessible with normal cars. These vehicles are on their own an activity that you on your own or with others can experience together while renting the Land Rover Defender. Come out and play! Rent a rod in the old Reykjavik harbor and try fishing in the heart of Reykjavik! You get a beautiful look at the life on the old harbor, spectacular view of the Harpa music hall and good chance to catch some good fish. Offering Segway tours and rental. Glide effortlessly along Reykjavik's beautiful coastline on a Segway with one of our enthusiastic professional tourist guides accredited by the Iceland Tourism Board.